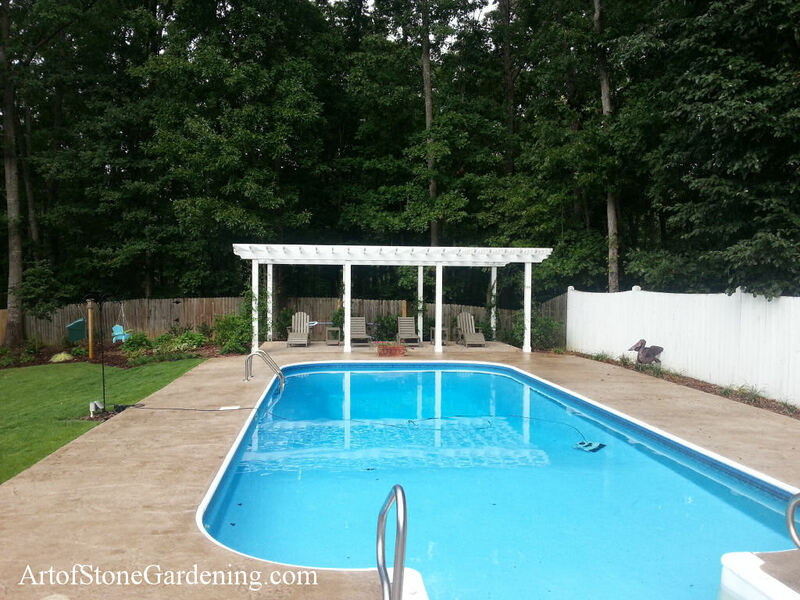 This back yard makeover took a lifeless poolside and created a family getaway. 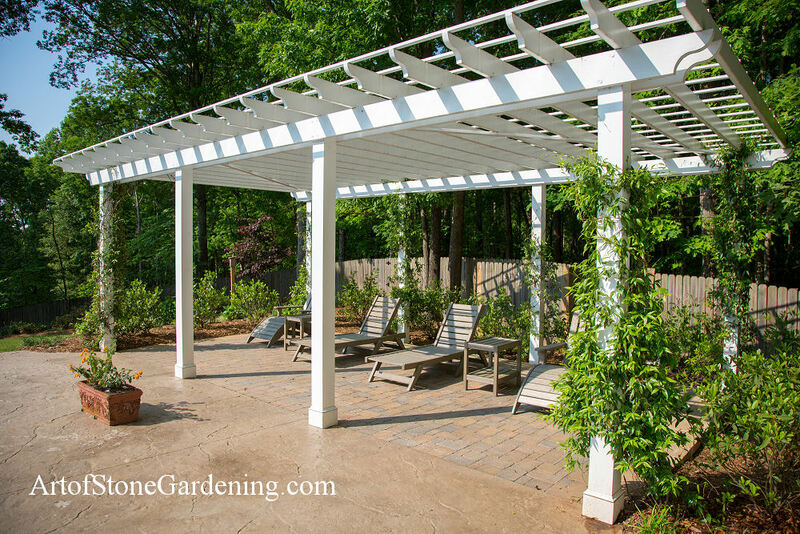 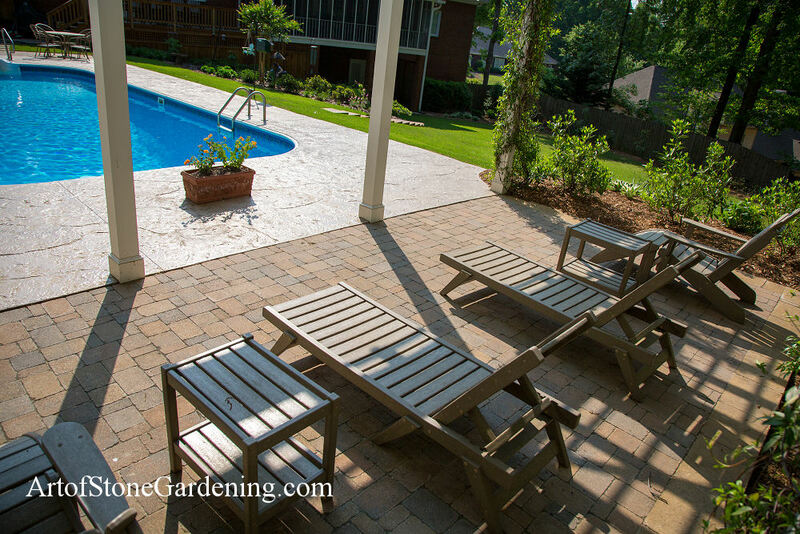 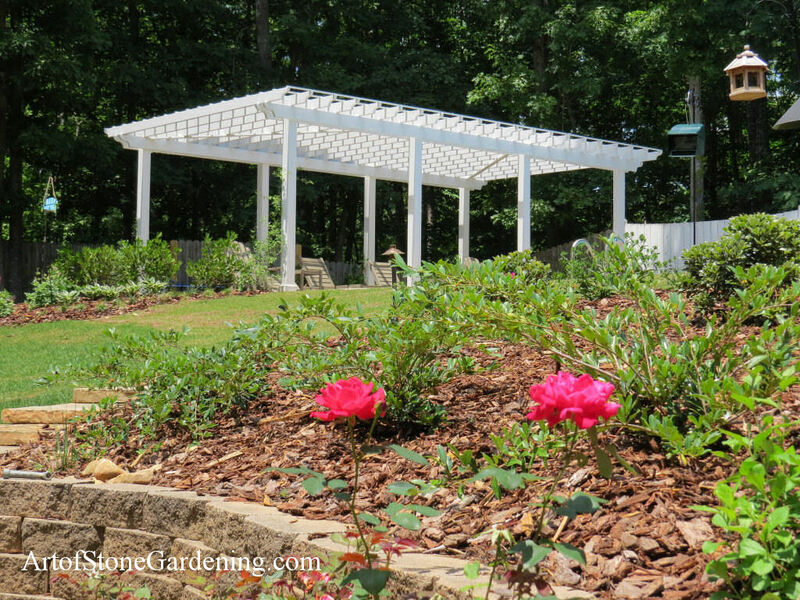 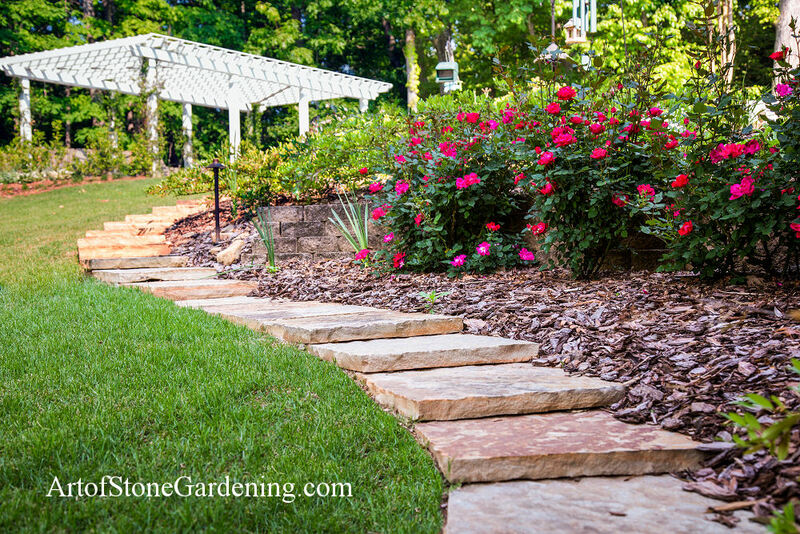 The paver patio was added to create additional seating and the arbor provides a bit of shade. 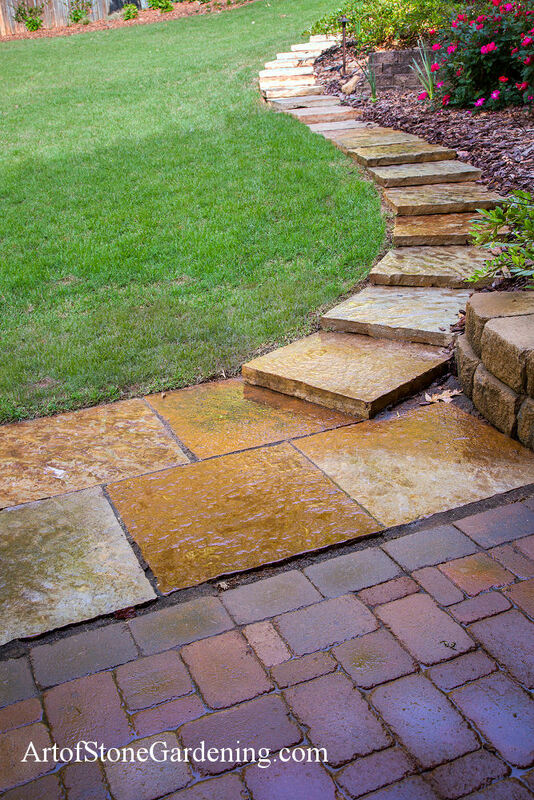 Steps were added for easier access to the house.